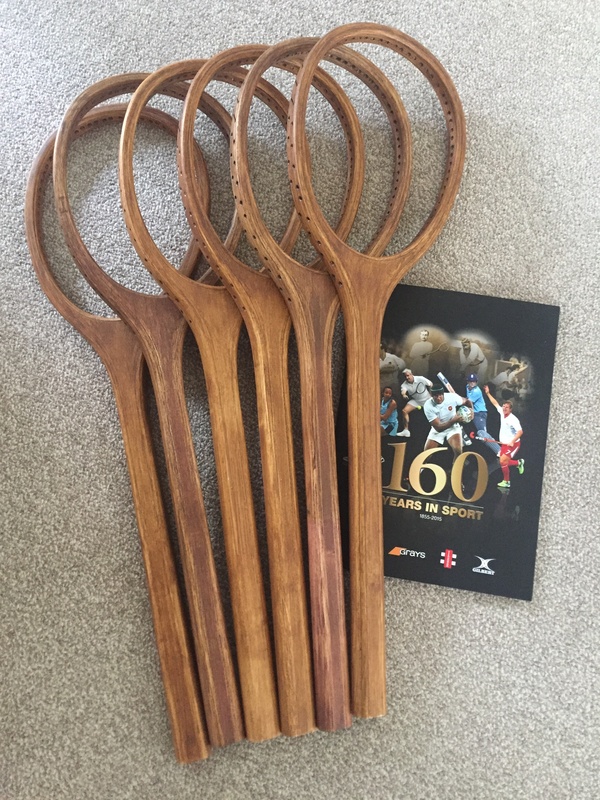 We are indebted to Grays for their generosity in donating six real tennis racquet frames. Once they are strung they’ll be put to use on demonstration days and events related to the history of lawn tennis. Before lawn tennis specific equipment was manufactured players would use whatever they had to hand. Hence real tennis and rackets racquets would have been used to play the early/new game of lawn tennis.